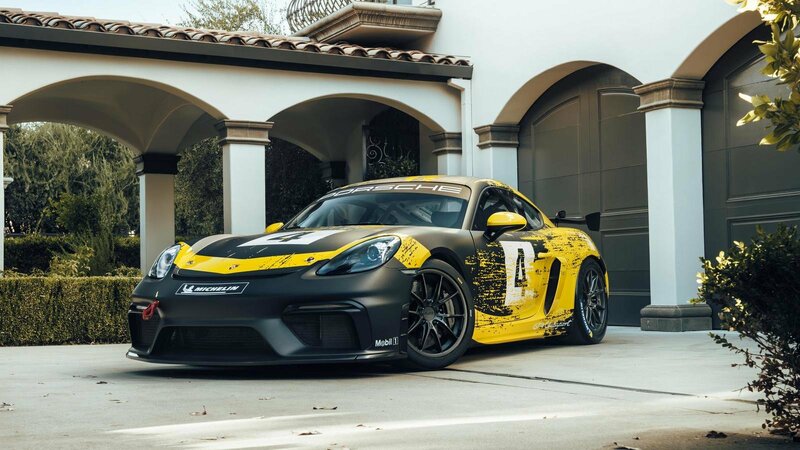 The GT4 Clubsport retains the familiar design of the road-going Cayman, but boasts a more aggressive stance thanks to its race-inspired body features. Up front, it's the bumper that sets the coupe apart. Instead of the narrow vents with horizontal slats, the Clubsport models sports larger outlets onto the sides and a wider trapezoidal opening in the center. It also features a big splitter below. Porsche also has different headlamps on this model, while the front hood has quick-release pins. There is also a race-spec tow on the front bumper. 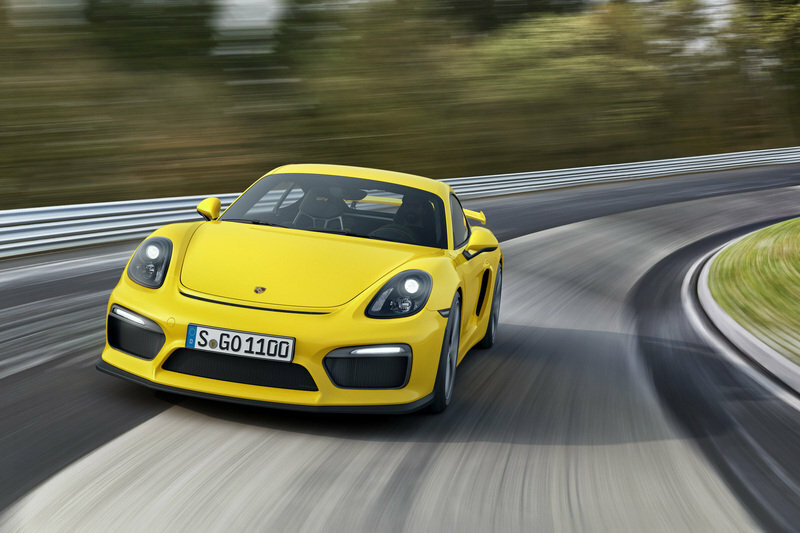 Onto the sides, the Clubsport looks identical to its road-going sibling. 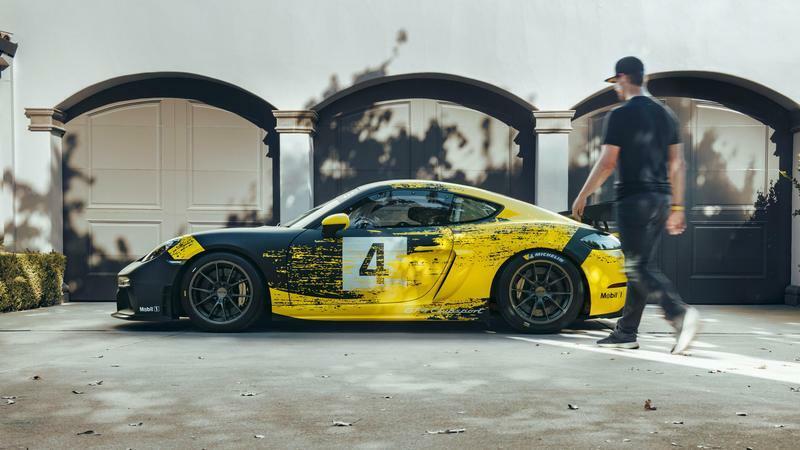 Porsche revised the vents on the rear fenders, most likely to improve airflow, and added motorsport specs, but other than that, the clubport is pretty much a standard Cayman. 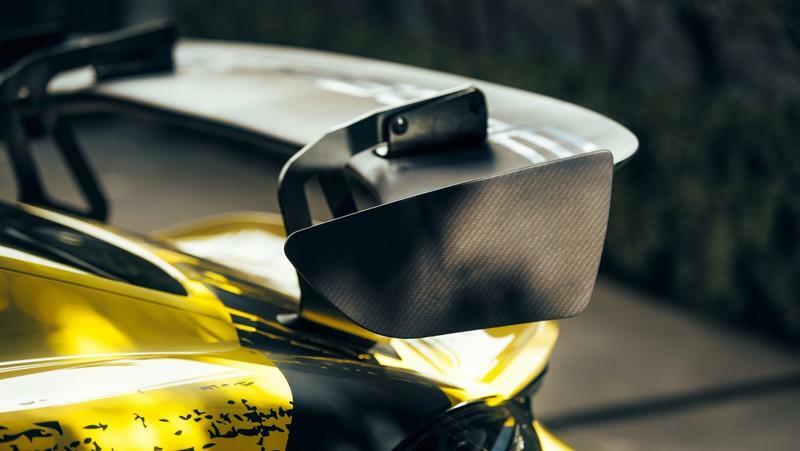 The GT4 Clubsport is also the first production race car to feature body parts made of natural-fiber composite material. 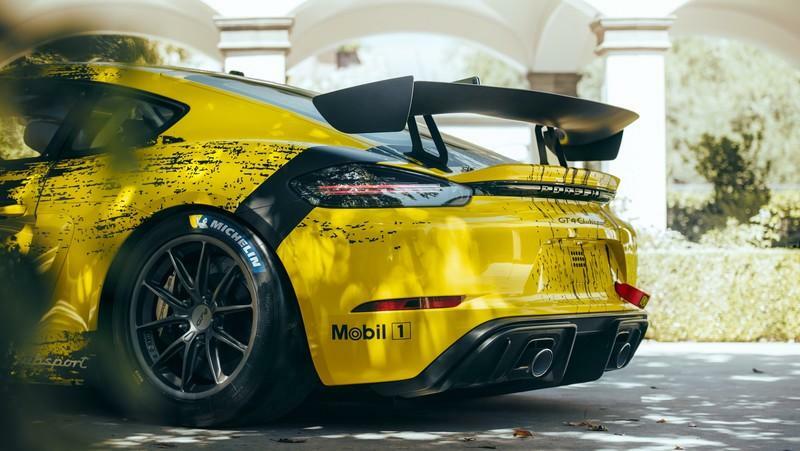 Specifically, the doors and the rear wing are made of an organic fiber mix sourced primarily by products such as flax or hemp fibers and feature similar properties to carbon fiber in terms of weight and stiffness. The rest of the body is made of aluminum-steel composite, a common material for Porsche vehicles. 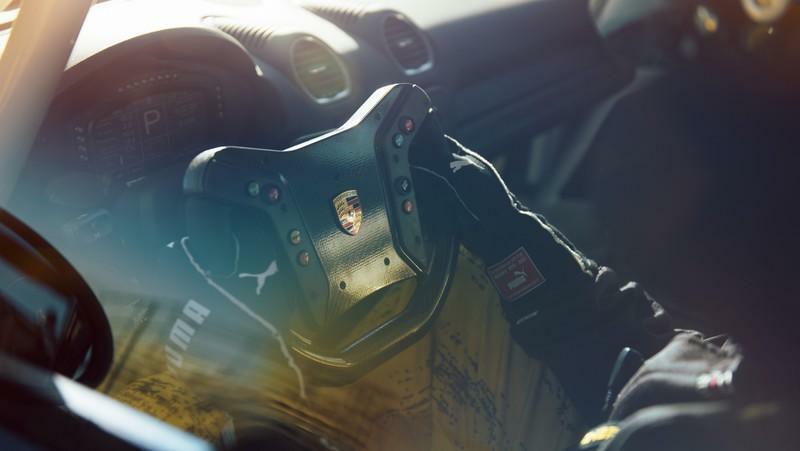 Like most race cars designed for FIA competition, the GT4 Clubsport retains most of the interior features of the standard road car. 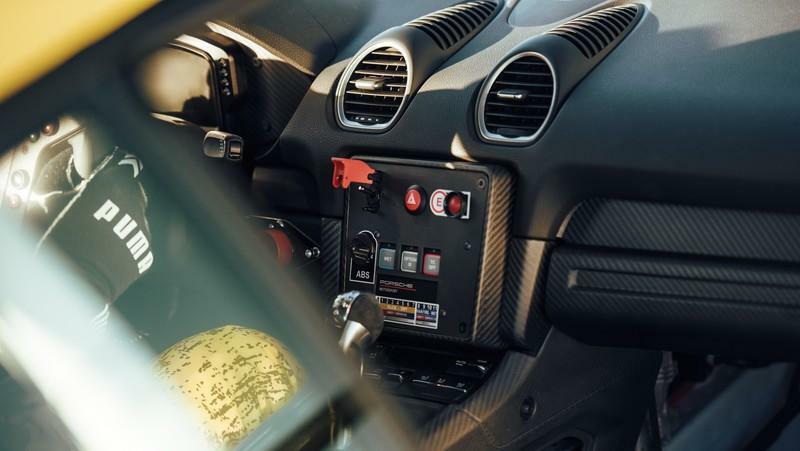 The dashboard is identical, but Porsche opted for a carbon-fiber lower section. It also replaces the infotainment screen in the center stack with a motorsport-specific console that includes various buttons and switches. The standard instrument cluster was also replaced with a new screen with simpler operation and graphics. The shifts are displayed in the center, while other performance numbers are shown on each page. The standard steering wheel is also gone, replaced by a motorsport-style wheel with a flat bottom. Other race-specific upgrades include a welded-in safety cage and a racing bucket seat with a six-point harness. These features are offered in both variants of the Clubsport, but each of them sports additional extra. The Trackday model for instance also features an air-conditioning system, rescue hatch in the roof, and a four extinguisher. This is where the GT4 Clubsport really stands out compared to the road-legal Cayman. While the standard model is available with two flat-four engines, the Clubsport hides a flat-six under the hood. 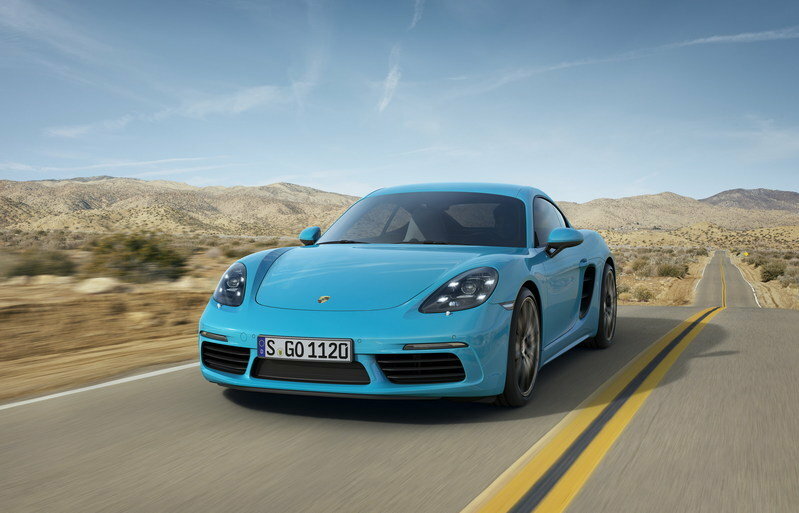 And that's not the 3.4-liter unit that powered the previous Cayman S. Instead, Porsche went with a race-wide 3.8-liter flat-six from the 911. 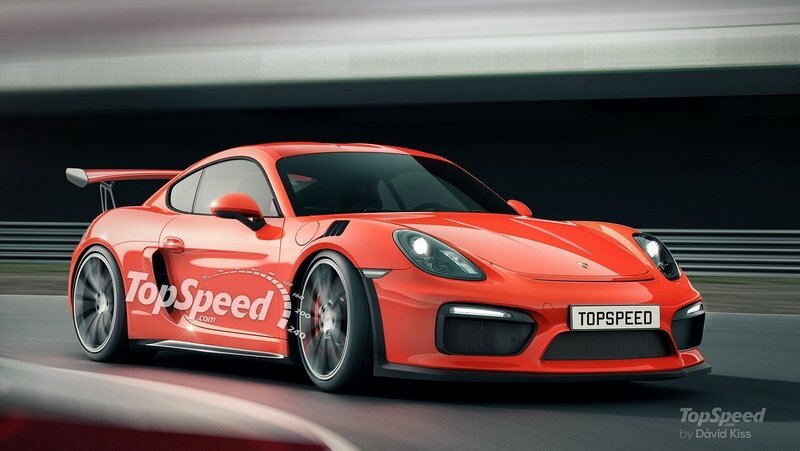 This is pretty much an evolution of the engine offered in the previous GT4 Clubsport, with upgrades that increase power to 425 horsepower, 40 horses more than the old model. Similarities with the old Clubsport continue in the transmission department. The new race car also features a six-speed dual-clutch gearbox, as well as a mechanical locking differential to the rear. On the other hand, the new GT4 Clubsport is a bit heavier than its predecessor. Tipping the scales at 2,910 pounds, it carries an extra 44 pounds. These specifications are identical for both the Trackday and Competition trims, but the two cars have different features in the suspension department. 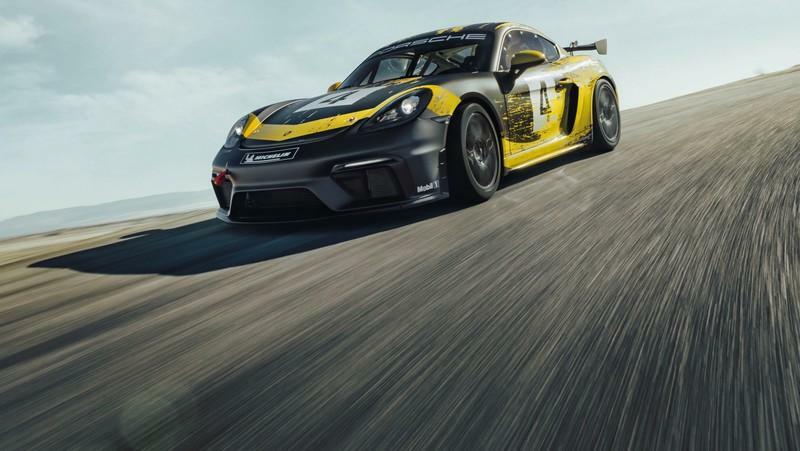 The GT4 Clubsport is ready to tackle any race track out there thanks to a lightweight strut suspension taken from the 911 GT3 Cup. It's height, camber, and track adjustable at all corners and includes optimized stiffness, double shear mounting, and high performance spherical bearings. The setup is different on Trackday and Competition models though. While the forms come with a fixed shock absorber setup, the laugh features three-stage adjustable absorbers. You can also deactivate the ABS, ESC, and traction control systems in the Trackday model. Both models are equipped with race -spec, steel brake discs measuring 15 inches front and rear. The competition version also comes with a brake balance system that adjusts the bias infinitely between the front and rear axles. The integrated air-jack system enables fast pit stops. Needless to say, the GT4 Clubsport is cheap, but it's much more affordable than other race-spec sports cars. 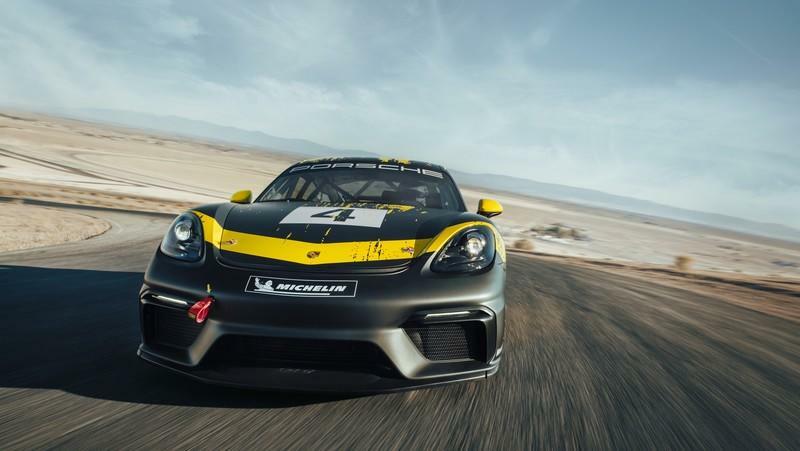 The GT4 Clubsport is raced since 2016 in a wide variety of FIA-organized events and the new-generation model will continue in the same competitions. Expect to see the GT4 European Series, the British GT Championship, the Pirelli World Challenge, and the Blancpain GT Series. Privateers that will buy the Clubsport will face a healthy lineup of GT4-spec cars. 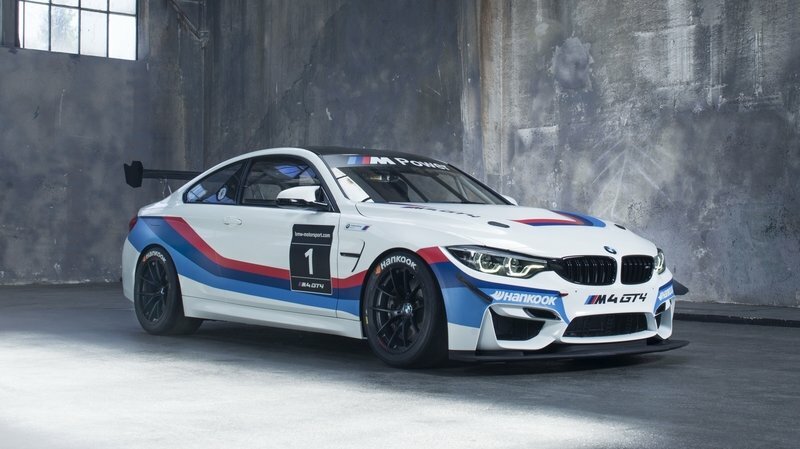 In the GT4 European Series, competitors include the BMW M4 GT4, the Mercedes-AMG GT4, the Audi R8 LMS GT4, the Aston Martin Vantage GT4, the McLaren 570S GT4, and the KTM X-Bow GT4. Most of them are raced in the British GT Championship as well as this series also includes the Jaguar F-Type SVR GT4, Ginetta G55 GT4, and Toyota GT86 GT4. Moving over to the Pirelli World Challenge, the GT4 Clubsport will also go against the Chevrolet Camaro GT4 .R, Ford Mustang GT4, and the Panoz Avezzano GT4. Although not as popular as racing cars from other companies among privateers, the GT4 Clubsport can bring about a successful racing career since 2015. 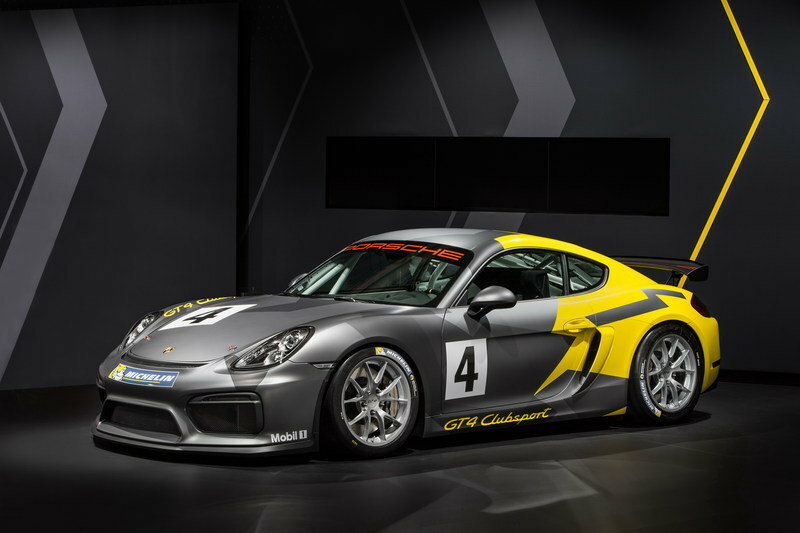 The new GT4 Clubsport will most definitely continue this legacy and, given the upgrades, it should Give the competition a good run for their money. The cool thing about this new-generation car is that it also offers an option for amateur racers in the Trackday version. It's a bit more affordable, it has a simpler chassis, but it's a good proposition if you want to hit the track without becoming a professional racing driver. 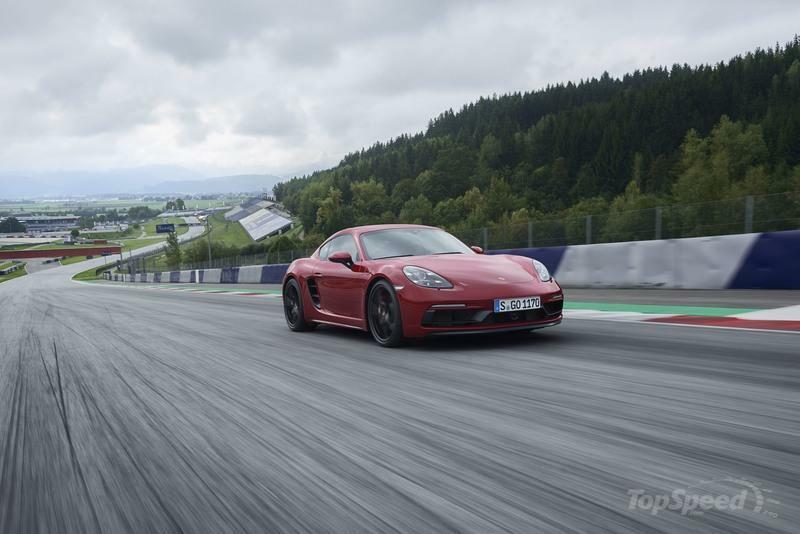 Read our full review on the 2017 Porsche 718 Cayman. 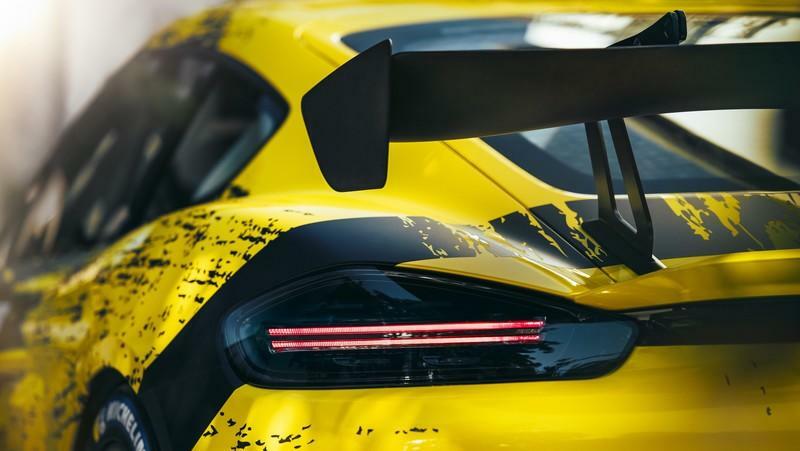 Read our full speculative review on the 2020 Porsche 718 Cayman GT4 RS.